She joined ITN in April 1998 starting as newscaster and senior reporter for ITV News, presenting the ITV Morning News and providing special reports for News at Ten. She then became medical correspondent for ITV News. 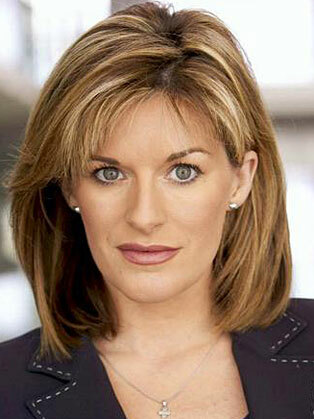 Having joined Five News in 2000 as a main news presenter, she moved back to ITV in 2001. In November 2001 she was the first British journalist into Mazari Sharif after the Northern Alliance captured the city from Taliban forces. She produced a number of reports, which received wide coverage in the British press. Catherwood was reporting from inside the prison at the beginning of the Taliban prisoners uprising when one exploded a concealed grenade that killed five people. Catherwood was injured in the knee by shrapnel. In 2003, she was promoted and made the main anchor of the ITV Weekend News, plus a relief presenter on the ITV Lunchtime News and ITV Evening News. In July 2009, to coincide with the 40th anniversary of the NASA moon landings, ITN produced five special 10-minute programmes for ITV itled Mission to the Moon - News from 1969. Catherwood, a former ITN newscaster and correspondent, reported for these specials. Catherwood is now a weekly contributor to This Morning, as well as writing for The Mail on Sunday.